As this is my first post for 2014 I firstly want to say Happy New Year! A big thank you to all of you who read or subscribe to my blog, or follow me on some form of social media. Thanks to you I have had a great year sharing my kitchen and recipes with you. 2013 marked my first year as a blogger, which looking back I can say has been a great experience! I may not have as many followers as some of my favourite bloggers (such as Manila Spoon, Lemony Thyme, Pink Recipe Box or My Mummy Daze) but I still find it humbling that so many of you want to share my cooking adventures with me. I was very happy when I found that my family's whipped butter icing recipe was the most popular recipe last year! This recipe has been past down from my Grandma to my Mum, and now to me. I know my Mum will be very happy to know how much you all loved it. This recipe was originally posted when someone at Mr Steph's work for my icing recipe, so if it wasn't for her it may never have made it up in the first place! 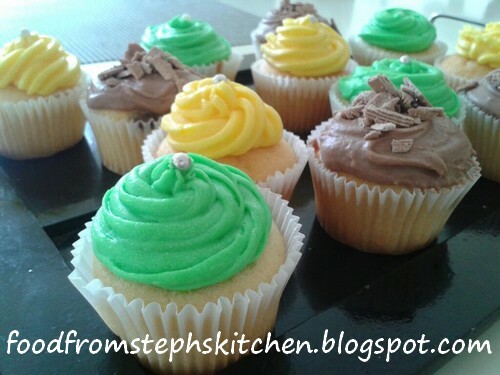 The icing recipe is different to other recipes as it doesn't use milk - simply butter, icing sugar and flavouring. As I have to be especially carefully with how much diary I eat, I also love that you can make it with any kind of spread or margarine. At home I often use Nutex, which is a diary free spread. It can be flavoured with coco or any flavouring you want, as well as any food colouring you desire. It is my Mum's go to for decorating birthday cakes as well, using it over the years to create Kung-Fu Panda, Pocahonas, and even Barbie. My Mum is definitely one talented lady. I orginally learnt this garlic sauce recipe in my waitressing days after I begged one of the chegs to show me how she made the garlic sauce I just loved. I was really surprised by the simplicity of it, as I thought it would be a complicated thing to make. The sauce is just amazing with chicken, steak or seafood. 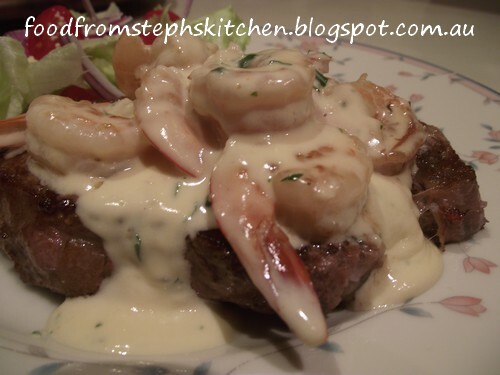 It is the same creamy garlic sauce used in a reef and beef as well. This is actually another one of my Mum's recipes that I adapted over the years (way to go Mum - two recipes in the top five!). Unlike other pasties, this recipe doesn't use the usual vegetables that people sneak into pasties, but instead is primarily beef mince. 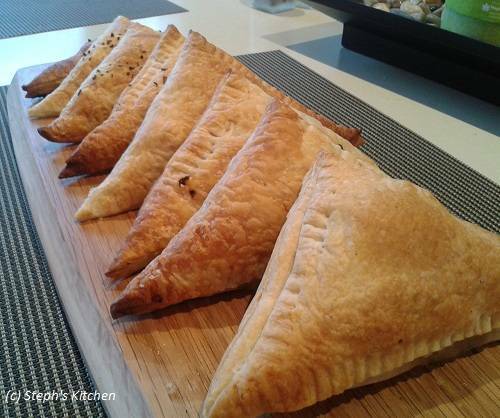 The great flavour of these pasties comes from the herbs and spices you add, as well as the type of chutney you choose to use. And the best part is they are made with puff pastry (oh, so good! ), giving it that delicious crispiness of the pastry. You can also use short-crust pastry, but you'll really be missing out! Home made pizza is a regular in our house as we have such busy schedules and honestly home-made is so much better than buying out. 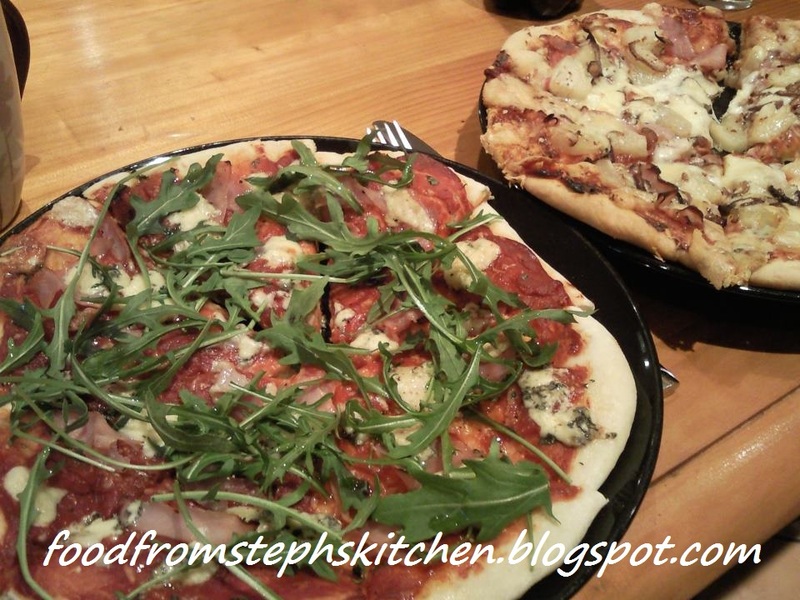 The dough is simple to make, and makes lovely fluffy pizza bases. I often make the pizza dough when I first walk in the door from work, quickly throwing it together and leaving it to rise. By the time I come back from doing chores and getting into "house mode" the dough has risen and is ready to roll out. Although some dough experts may ask "Where is the sugar for the yeast?" with this recipe, I assure you the recipe is correct. I have made these bases for many years now, and they work for me every time! 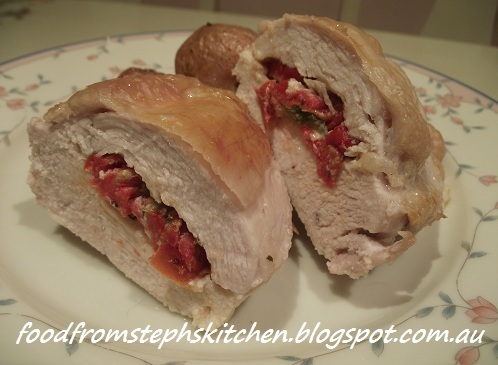 This stuffed chicken breast recipe is another easy dinner for the family. It was originally created after I went through a phase where I was obsessed semi-dried tomato and I just ate them almost constantly. I love semi-dried over sundried as they are so juicy in comparison. Not content with simply adding them to my pastas and other dishes, I looked at a way to incorporate them with chicken. For those thinking it sounds complicated - it's really not. Instead of baking the chicken breasts whole you simply make a cut in the breast and add the ingredients. It was inspired by a dish served in my waitressing days: Stuffed chicken breast with camembert cheese (which I also recommend!). Well, that was the five most popular recipes from 2013. Again, thanks so much for your support and love over the past year. I have many more recipes to share with you in 2014!